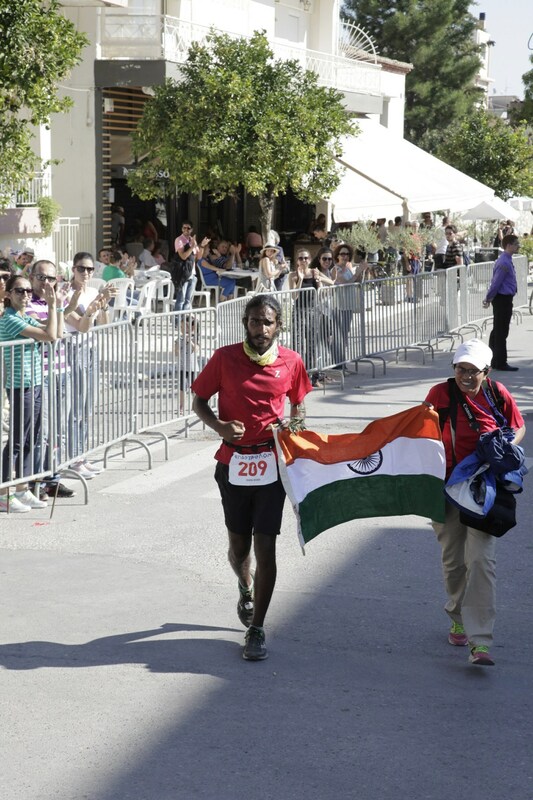 Article on Kieren D’ Souza, the first Indian to complete Spartathlon. 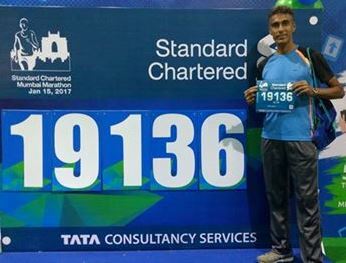 It was the first Friday of the New Year; second day of the expo preceding the 2017 Standard Chartered Mumbai Marathon (SCMM). At the corner reserved for talks, a runner kept the audience engaged with a presentation on how to recover from training runs and races and be ready for more. He was a young person. “ I have been running since 2010,’’ he said. The presentation was as light hearted and buoyant as his personality. It was also to the point. Confronted with a question he couldn’t answer, he didn’t beat around the bush or build castles in the air to preserve self-importance. He confessed his lack of experience in that subject and thereby, inability to answer. About running, he emphasized: have fun, that’s the most important thing to do. Kieren D’ Souza is a young runner wishing to make a professional career from running. Born in Bilaspur, he hails from a family in the armed forces; his father serves with the Indian Air Force (IAF). The youngster lived in several cities, most notably Nagpur, Bengaluru and of late Faridabad near Delhi. “ I used to play a lot of basketball in school and college,’’ he said, tucking into breakfast, mid-2016, at Wonderland café on Leh’s Changspa Road. It was a couple of days before the 2016 edition of the cult ultramarathon, La Ultra-The High. On the adjacent chair, ultra-runner’s calling card rested – a hydration pack. Sometime earlier, requested to pose for a photograph, he had confessed that about the hardest thing for him to do is – stay still. Restlessness – rather abundant energy – hovered about him now too. It wasn’t that he was indifferent to food; he just seemed in a moment that felt in between. Breakfast had followed morning run. Other things to do appeared already beckoning. “ At times I think my running owes much to my natural restlessness. I have to keep moving my feet!’’ he said laughing. 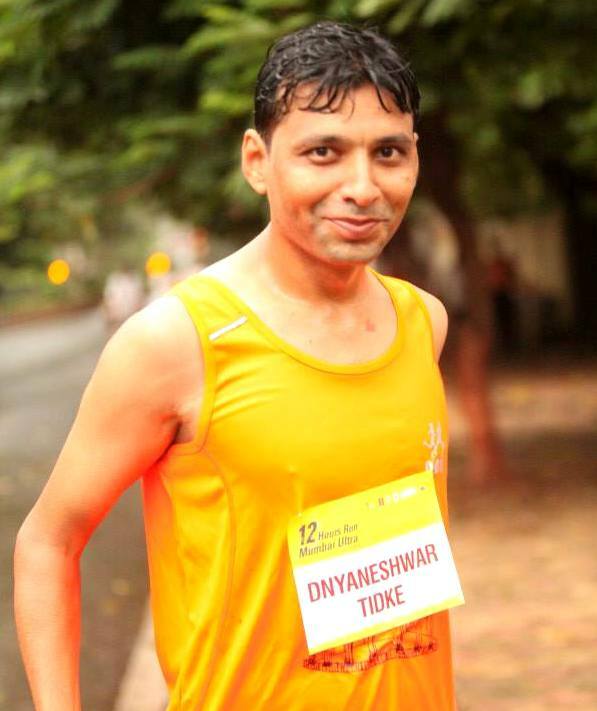 His first formal running event was a 12 km run in Bengaluru, for which he was signed on by a friend. 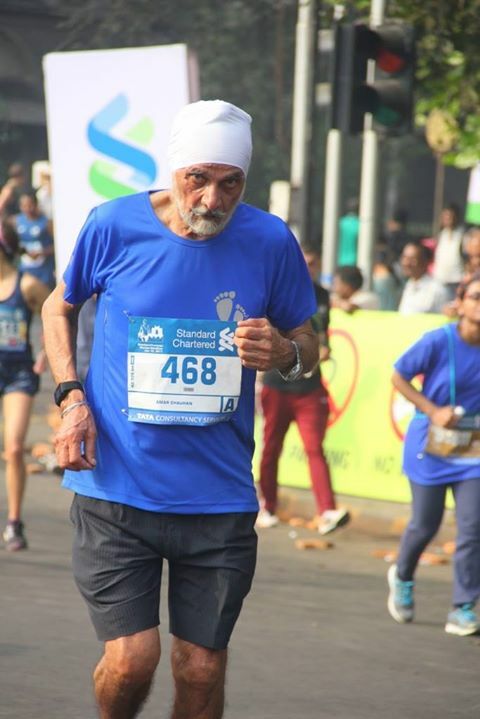 That participation told him that he could not only run but “ I find it easier to run still longer distances.’’ The Bengaluru run was followed by participation at the Airtel Delhi Half Marathon (ADHM), which officially enhanced his capability to 21 km. 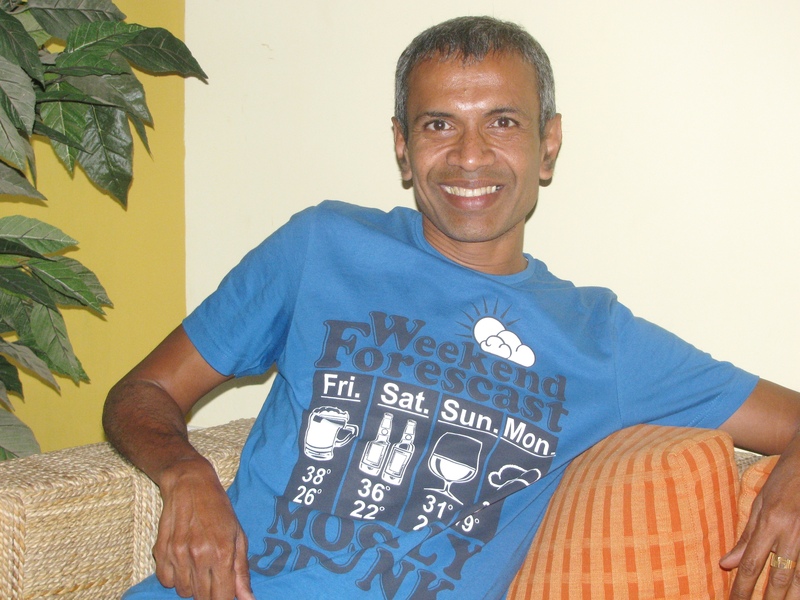 In 2012, while living in Bengaluru, he decided to attempt the 100 km-category of the Bengaluru Ultra. He attributed the jump to 100 km to his assumption that since moving from 10 km to 21 km had been relatively easy, 42 km would be as easily doable. Except for a year or so with the city’s well known coach, K.C. 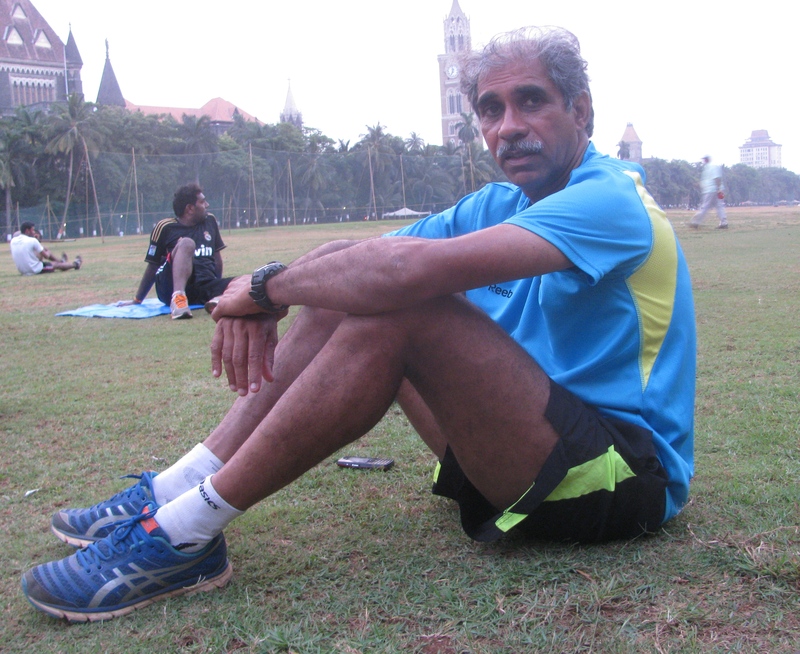 Kothandapani and his group – Pace Makers, Kieren trained largely on his own. Although he completed the 100 km ultramarathon, Kieren recalls being very tired at the 60 km-mark and struggling thereafter. His father who had come to encourage him was instrumental in goading him on to finish the run. The effort notwithstanding, Kieren had by now begun looking for more ultramarathons to run. He continued to run the shorter distances but treated them as training runs for eventual progression to being a dedicated ultra-runner. 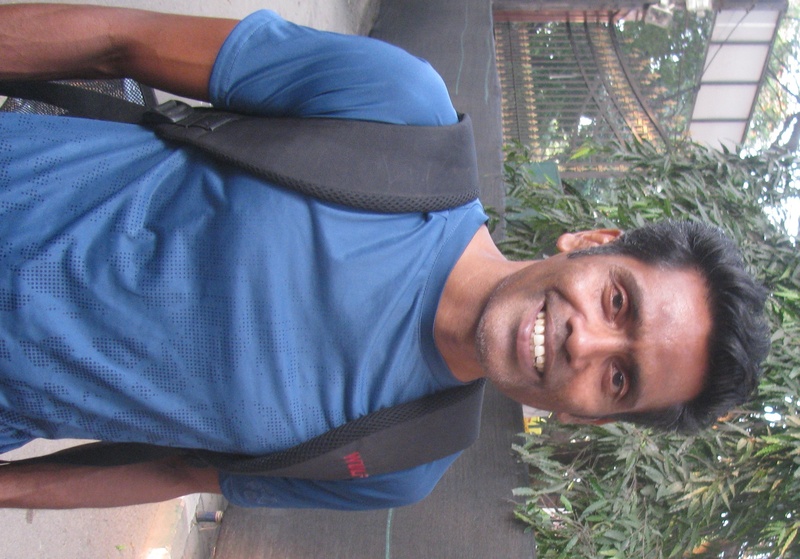 In 2013, he enrolled for and ran the Nilgiris Ultra. He now turned his attention to La Ultra-The High in Ladakh, which he had come across earlier while surfing the Internet. Kieren has done his Basic Mountaineering Course from the mountaineering institute in Manali (then known as Directorate of Mountaineering & Allied Sports [DMAS], it is now called Atal Behari Vajpayee Mountaineering Institute). He was no stranger to altitude and physical strain. With a couple of ultra runs and the mountaineering course under his belt, he felt 111 km in Ladakh would be feasible. He enrolled for the race’s 2014 edition. The 111 km-category of La Ultra-The High is the shortest category of the race, spanning overall 333 km. In that short category, of the three high passes woven into the full race, you need to tackle only one – Khardung La. This pass, the road to which is visible on the mountain slopes above Leh, is guarded by two check points – North Pullu and South Pullu, with the former on the slopes leading to Nubra Valley and the latter on the side facing Leh. The race starts from the Nubra side. Likely underestimating the mix of high altitude and hard running and racked by stomach problems, Kieren’s maiden La Ultra-The High ended at North Pullu. Unable to continue, he was taken off the race. “ I was really sad. That was the first time I had not finished something I started. There is a photo of me sitting down and crying after I was forced to quit the race. I think I was under-trained – that was the biggest factor. I must have started taking things for granted. That race put me in my place. It was good that I DNF-ed. I learnt a lot,’’ he said. The first time we heard of Kieren was from Dr Rajat Chauhan, whose brainchild La Ultra-The High is. A Race Director’s job is never easy, especially when it comes to taking runners off a race. Like any Race Director, Dr Chauhan has had his share of being misunderstood by participants. At some point in an old conversation on the subject, he mentioned Kieren as an exception and somebody to look out for in the Indian ultramarathon scene, despite the reverse he had suffered at his first La Ultra-The High. 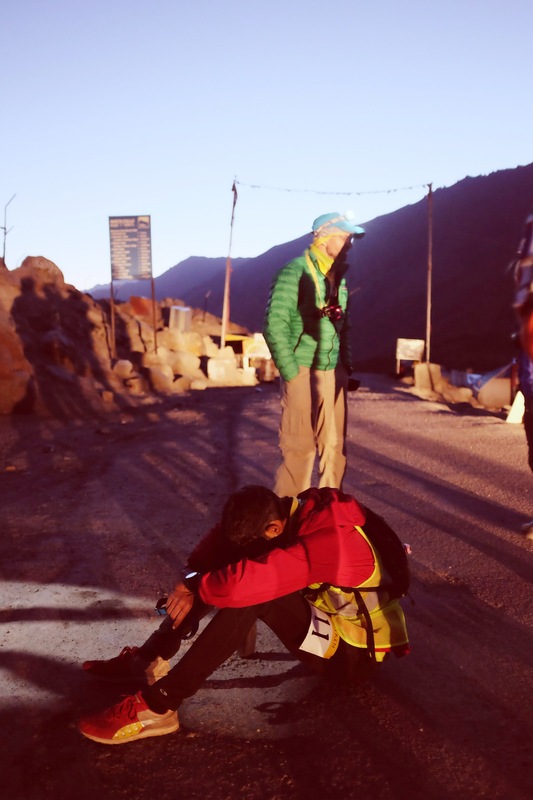 What shaped that perception was this – while he may have been heartbroken after being taken off the race, Kieren later spoke to Dr Chauhan (he is an accomplished ultra-runner himself) on ways to train for the high altitude event and improve his performance. Not just that, he worked systematically at it. 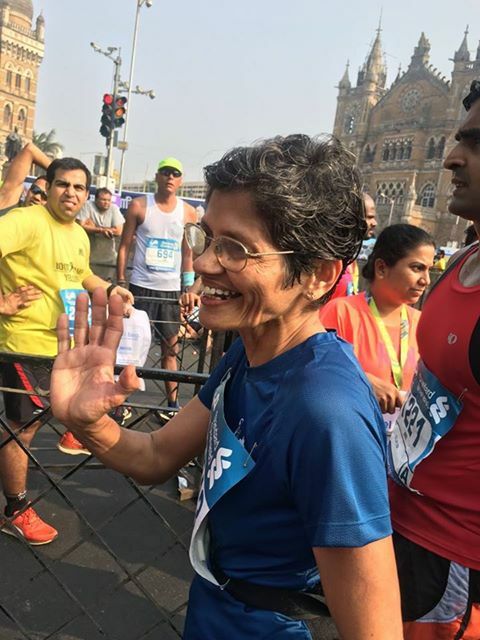 There is a difference between sulking and walking off a race and recognizing one’s shortcomings and seeking to improve – that impressed Dr Chauhan. Amid this an interesting thing happened. At the time of participating in his first La Ultra-The High, Kieren was working at a company called The Active Holiday Company. He held a regular job. Following the Did Not Finish (DNF) at La Ultra-The High, he chucked up his job and decided to pursue running full time. “ It is basically about being in outdoor sports. I have done a course in skiing too. I am still exploring,’’ he said. In the meantime, La Ultra-The High went past a major landmark in its evolution. Ever since its inception, Indians had failed to register a win or a notable finish at La Ultra-The High. 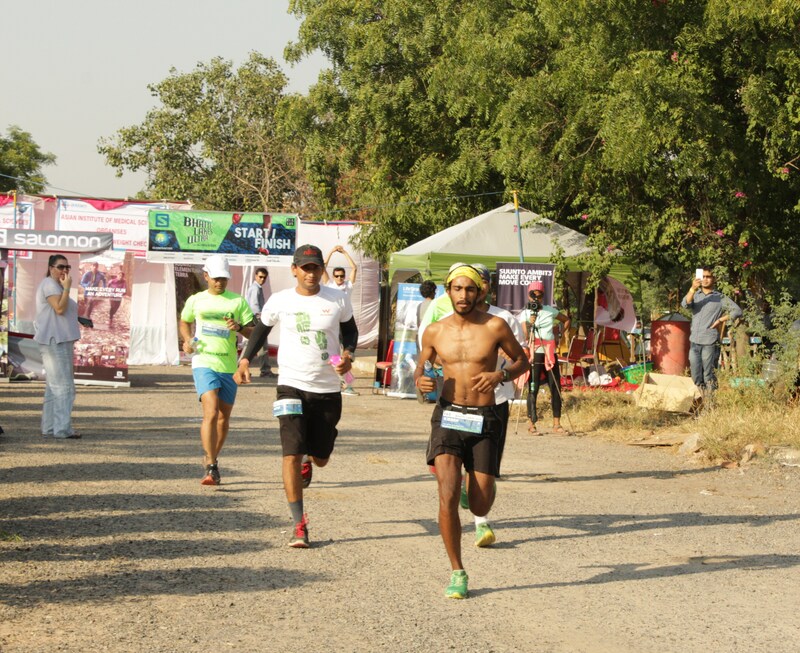 In 2015, that changed when Parwez Malik of Dehradun won the 111 km-category, running the distance in 17 hours, 57 minutes. Reportedly laid low by injury, Parwez didn’t turn up for the 2016 edition. Pre-race buzz of strong runners for the 111 km-category was dominated by Kieren, who in the time between that photo of him sobbing and our breakfast at Wonderland café, had successfully completed ultramarathons in India and a major one in Europe – the 101 km CCC category of Ultra-Trail du Mont-Blanc (UTMB). 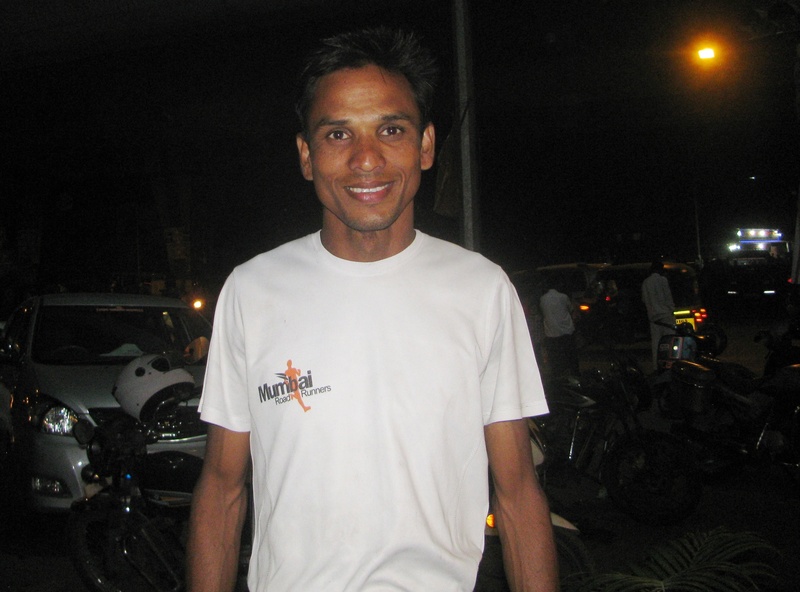 Completing the Nilgiris Ultra had helped him qualify for UTMB. Free of regular job, Kieren shifted to Manali, which is at an elevation of 6700 ft at the northern end of the Kullu Valley in Himachal Pradesh. He trained there for a couple of months. 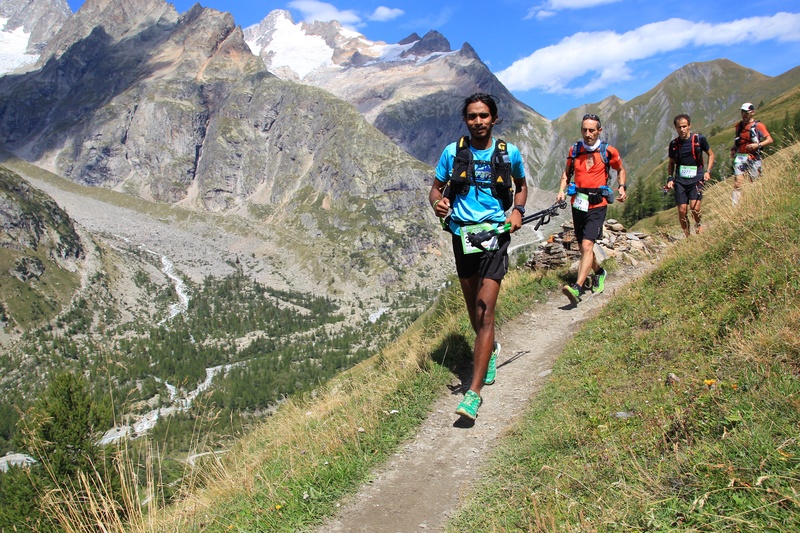 For more insight on UTMB, he also linked up with Ashok Daniel of Chennai who had attempted the race before. The effort paid off. In Europe, he finished UTMB’s CCC category in around 18 hours, 30 minutes. He looks forward to running sometime, the full version of UTMB. Applying for UTMB and preparing for it gave him what he badly needed – a firm focus on ultra-running. It was a remarkable turnaround from that setback at La Ultra-The High. By the time we met in Leh for the 2016 La Ultra-The High, Kieren could say, “ from last summer onward, I have been really focused on ultra-running. 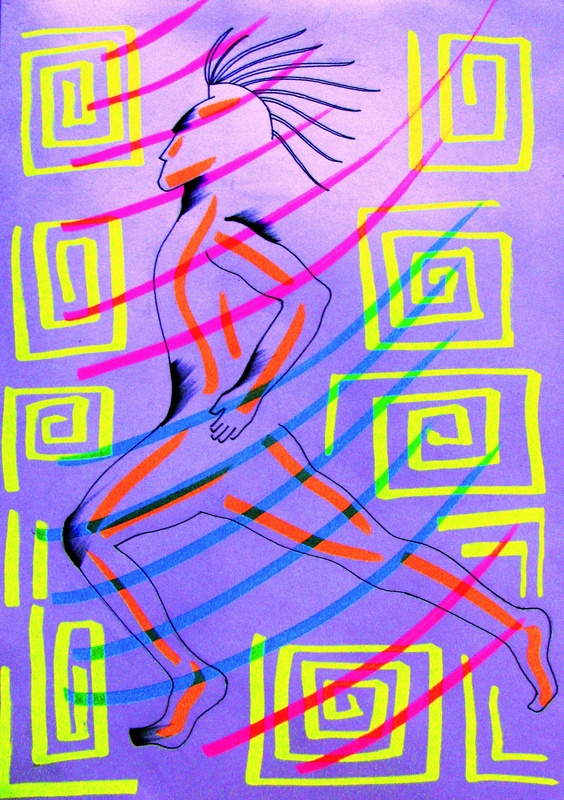 I am trying to make a living out of it.’’ Running had become his full time work. When elsewhere in India, someone took a bus, a train or a taxi to go to an office in some glass tower in some concrete jungle of a city; he set out for his office – a run in the outdoors. When others of his age prided themselves in sleep deprivation and competed at the art of working late in company offices, he put in 9-10 hours of sleep for as he said at the SCMM expo, sleep is the most important ingredient in recovery. For a runner, good sleep is part of work. And on the days of his ultra-long races, at times spanning day and night, while the world slept, Kieren logged in the miles. Not long ago in Bengaluru, he had earned his degree studying chemistry, botany and zoology. “ I have always known I can’t do a desk job,’’ he said, polishing off a slice of apple pie. While it may have been apple pie he was wolfing down at Wonderland, on running’s table right then, it was a different menu Kieren was tackling. 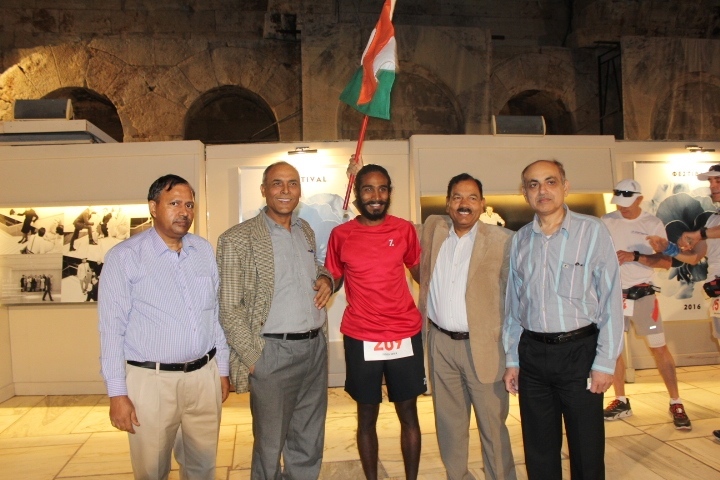 His performance at the 2015 Bhatti Lakes Ultra (both Nilgiris Ultra and Bhatti Lakes are organized by Globeracers) had been good enough to merit entry to the September 2016 edition of the iconic ultramarathon in Greece – Spartathlon. That was the big one on the cards. In the emergent scheme of things, he was treating La Ultra’s 111 km-category as a training run, a stepping stone to Spartathlon. 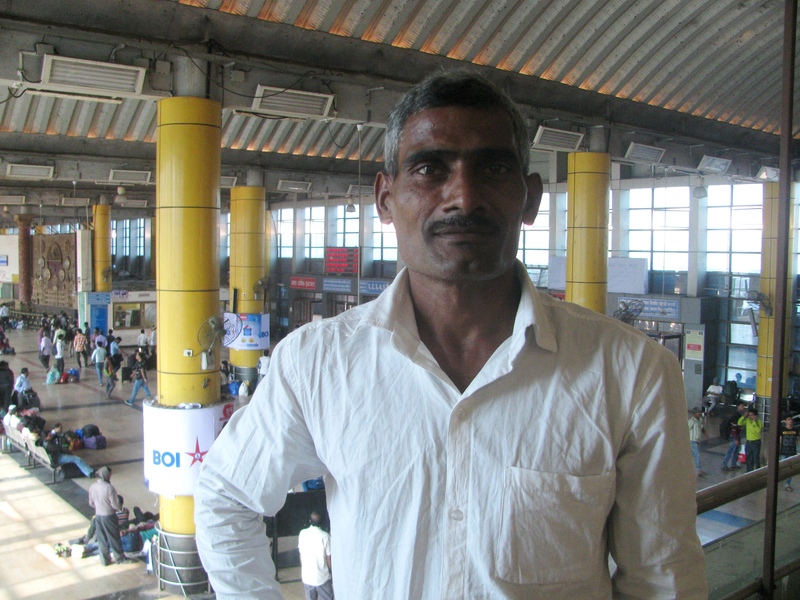 “ You can’t find a harder race in India to use as training,’’ he said. It seemed an interesting way to treat a run that had broken him two years earlier – look beyond looming challenge and ghosts of a run gone by, to what lay past it. If there is one thing that impressed about Kieren in Leh ahead of the 2016 La Ultra-The High, it would be – confidence; a pleasant confidence laced by the humility of setbacks known. 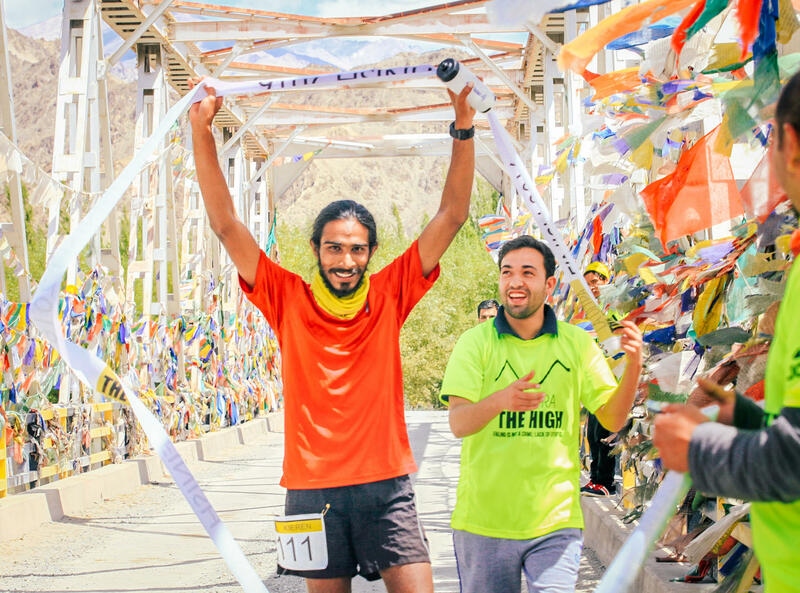 August 11 evening, the ultramarathon commenced from near Diskit in Nubra valley. Participants for all categories – 111 km, 222 km and 333 km – begin the race together as the finish point for each segment is marked on the same route. Kieren slipped into the lead quite early, maintaining it comfortably. He was followed by Jovica Spajic and Grant Maughan from the 333 km-category. Observing the race from the pitch black slopes of Khardung La by night, Kieren’s progress stood out for its pace. His headlamp, bobbing up and down in the steady cadence of his run, could be seen systematically creeping up in the darkness, en route to the high pass. According to Kieren, while the world may deem ultra-runners slow, in reality they aren’t all that slow. However he didn’t consider himself particularly fast; he may be fast compared to some of the Indian ultra-runners – that’s all. “ Compared to foreign ultramarathon runners, I am slow. When I practise, I am actually trying to get faster,’’ he said. As it turned out, Kieren made it smoothly to the 17, 582 ft-high Khardung La. He was a bit tired on the descent toward Leh. By around noon, August 12, he had won the 111 km-category of La Ultra-The High by a wide margin; he completed the distance in 15 hours, 30 minutes. Late noon found him back at Leh’s Goba Guest House where the race organizers were based; immediate celebration was muted and he sat quietly by the roadside to cheer the remaining runners as they passed by. He had La Ultra-The High’s shortest category in the bag; there were two greater levels of challenge in the same race to attempt, not to mention – Spartathlon is not only 246 km of running but it has a pretty stiff cut-off time too. 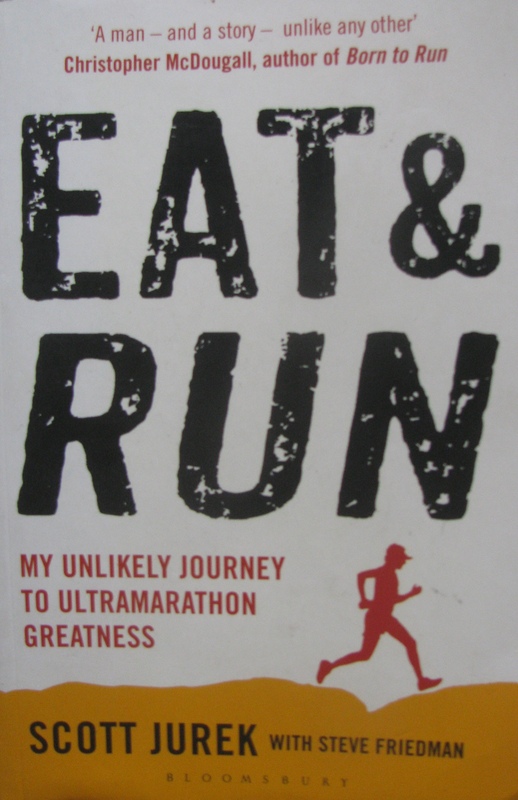 Kieren’s introduction to Spartathlon was through Scott Jurek’s book, ` Eat & Run.’ That’s where he found mention of the race. It kindled his imagination. To make things engaging, while on his way to UTMB, at Chamonix in France, he actually met Scott Jurek. The American runner has won Spartathlon thrice – in 2006, 2007 and 2008 – with his 2008 timing being the fifth fastest ever. “ Once I decide on a race, I speak to people who have done it. I tell them what I am doing and find out what I am missing,’’ Kieren said. It was October 2017. We were at Indian Coffee House on Bengaluru’s Church Street; coffee for us, bread-omelet and dosa for him. Looking back, La Ultra-The High had perhaps been perfect training ground for Kieren. Mark Woolley, who successfully completed the 333 km-category, had run Spartathlon before while Grant, who emerged joint winner with Jovica in the 333km-category, was headed for Spartathlon. “ Chatting with these guys is always helpful,’’ Kieren said. Also of assistance was Tobias, who got in touch once Kieren started browsing the Internet for more on Spartathlon and how to prepare for it. For Kieren, Spartathlon felt intimidating. The only 100 miler he had run before was Bhatti Lakes. At 246 km, Spartathlon was both longer than Bhatti Lakes and entailed more time on one’s feet. Kieren explained the attraction. “ I definitely want to do Badwater. But Spartathlon appealed because first, it is less known and second, at 36 hours overall cut-off time for a 246 km-race, its pace is faster. That said you can never compare races to conclude which is harder. It is personal choice and further, what each person is on given day,’’ he said. According to Wikipedia, Spartathlon has 75 checkpoints with each checkpoint having its own cut-off time. 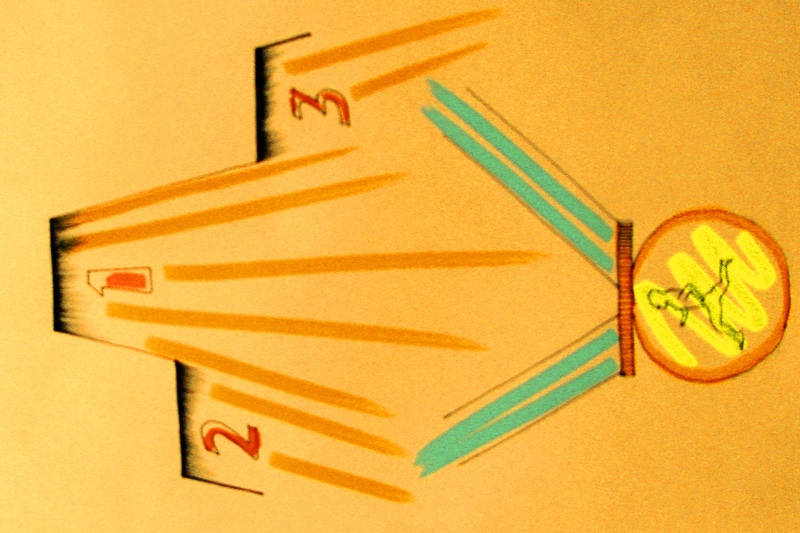 Any leeway in enforcing these cut-offs fades as the sun goes down and in the last one third of the race, not only are cut offs strictly enforced but fatigued runners may be pulled off the race. Spartathlon begins in Athens and ends in Sparta. Kieren’s mother accompanied him to Greece. As luck would have it, Grant Maughan was also staying in the same hotel as they did. It was good to meet him and chat, weeks after La Ultra-The High. As the race drew close, some officials of the Indian embassy visited Kieren to wish him luck. He had met the Indian ambassador to Greece a few days earlier. Although sustained training for Spartathlon and running La Ultra had addressed some of his nervousness, a fresh fear surfaced in Kieren at the start line in Athens. There was both a sense of intimidation by all the superlatives – from distance to tough cut-off times – attached to Spartathlon and a sense of excitement, for this would be the moment when whatever he had read about the race would start to actually unravel in his life, in his time. “ The first 40-50 km of the race, I was just enjoying the experience,’’ Kieren said. At the 93rd kilometer mark in Corinth, he met his mother who was waiting for him and spent about five minutes with her to chat and have some food. He resumed well and comfortably settled in “ the zone.’’ Midway, at the 123rd kilometer mark, he was supposed to meet his mother again but she was delayed reaching there. It worried him. At the relatively big aid station here, Kieren hung around a little longer having food and sorting his gear as night had descended. Then, just as he was leaving, his mother arrived. It lifted his spirits. At that point he met Tobias as well. For the next 70 odd kilometers, they ran together. Except for walking up mountain passes, they ran the rest. At 4 AM, around the 175 kilometer mark set in a valley, Kieren paused to nap for 15-20 minutes. Tobias moved on. “ It was really cold,’’ Kieren said. He continued alone up the next mountain pass and beyond, sticking however to the same strategy of walking the ascents and running the rest. Past the 205th kilometer mark, he sensed a pain in his left ankle. In due course, the mild pain grew to solid pain. He tried running but couldn’t; the ankle was too painful. He had to trade running for walking. “ The last 40 or so kilometers, I must have walked,’’ Kieren said. This was strategically alright for having crossed the earlier check points well within time he had built up a buffer. Near Sparta, people had lined up the road to cheer the runners. Kieren recalled a couple of incidents. Two little girls on bicycles approached and rode alongside him as he limped into town. Upon being told by Kierien that he regretted ending up walking, they told him that he was doing well and was their “ hero.’’ A lady asked him to wait as he passed her café; she went inside and fetched an olive branch to gift him. It was heart-warming. His mother was at the finish line. The last 50 meters of the race Kieren somehow ran. 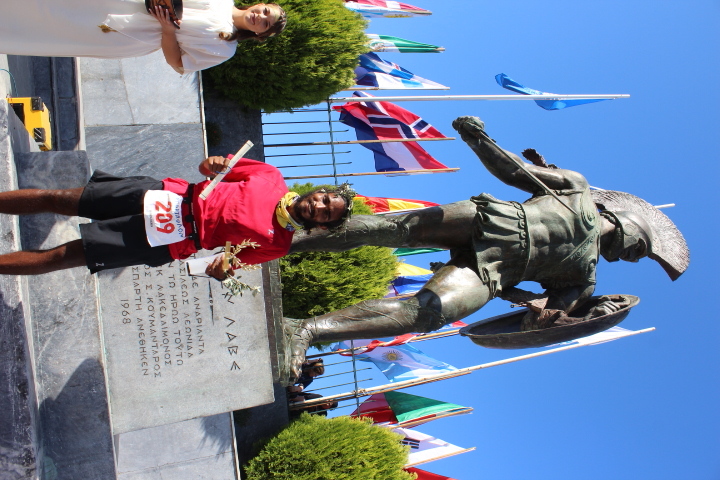 The race officially ended at the feet of the statue of King Leonidas in Sparta. Kieren had crossed every one of the race’s 75 check points within their assigned cut off time. Against an overall cut off time of 36 hours, he had completed the 246 km-race in 33 hours and one minute. As finisher, he was given water from the river which runs through town and an olive wreath was placed on his head. Then he was whisked off to the medical tent to have his feet washed and checked for blisters. Given the ankle injury, Kieren was also taken to the local hospital where the doctors who had been watching the live telecast of the race on TV, told him that they had just seen him at the finish line. Injury checked and addressed, he returned to the finish line to watch others complete the race. Among those he saw finishing so, was Grant Maughan. “ I met Kieren and his mother at Spartathlon. He ran well for someone who hadn’t done that distance before. He seems very disciplined with his training and racing. That’s all he talks about; so I know he is very interested to keep going with it and try new challenges. It must be a great honor to be the first Indian to finish that race. I think he has a solid future in ultra-running,’’ Grant Maughan wrote in. 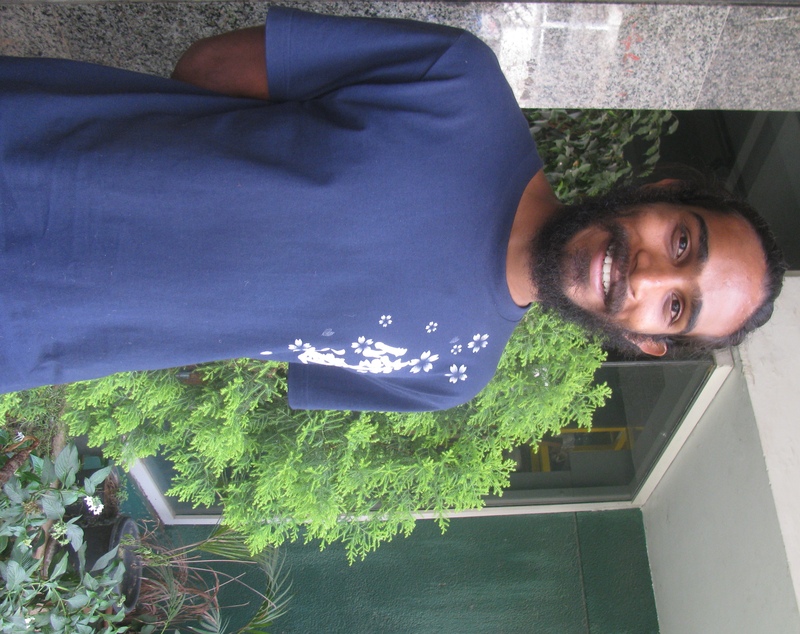 When we met Kieren in Bengaluru, he had a small clutch of sponsors backing him. But he was looking for long term sponsorship. 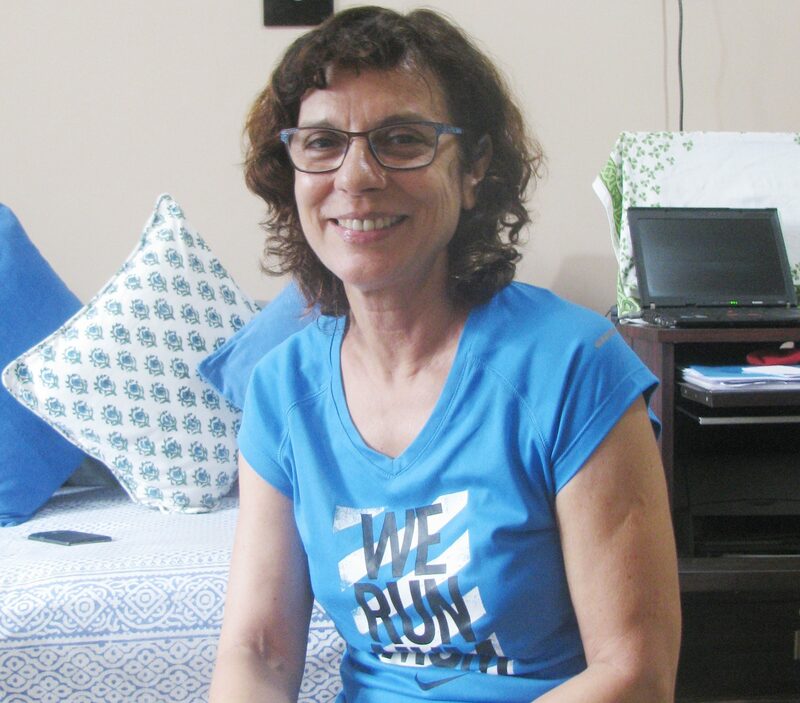 “ I am looking at running as a long term engagement. So ideally, sponsorships should be similar,’’ he said. Kieren now spends much time in Manali, his preferred spot to train. The mountainous terrain with its mix of altitude, roads and trails suits him. “ The Himalaya is the best training ground I can have. Someone in US and Europe can’t imagine the altitudes we can touch in training here. That’s why I don’t want to shift out from here,’’ he said. January 2017; Kieren’s talk at the SCMM expo in Mumbai appeared well received. He though wasn’t satisfied. “ I missed out a few points,’’ he said as he came off the dais, adding, “ now tell me to my face, how was it?’’ In that need for feedback to perfect a package probably lay the real challenge of what he has embarked on. When running becomes the stuff of livelihood, won’t it be hard to keep it fun? It is an old dilemma, all too familiar to freelance journalist. One of Kieren’s observations, from that earlier meet-up in Bengaluru, came to mind: The one thing I am sure about is that I wish to run. Rest is still the stuff of exploration.